A specimen of Edmontosaurus found in Alberta revealed that this dinosaur had a fleshy frill on its head, like a rooster’s comb. 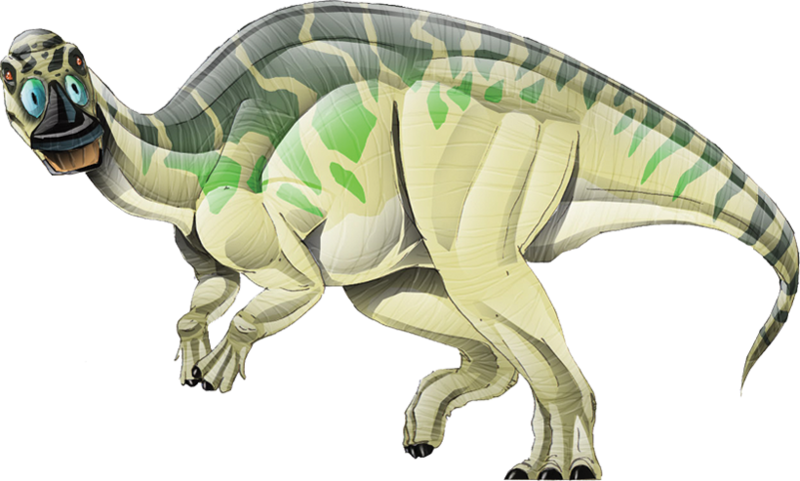 Edmontosaurus was a large duck-billed dinosaur, but some of the largest individuals discovered were previously thought to represent a distinct giant species named Anatotitan. The large skeleton on display at the Carter County Museum is an example of an Edmontosaurus that was previously called Anatotitan.